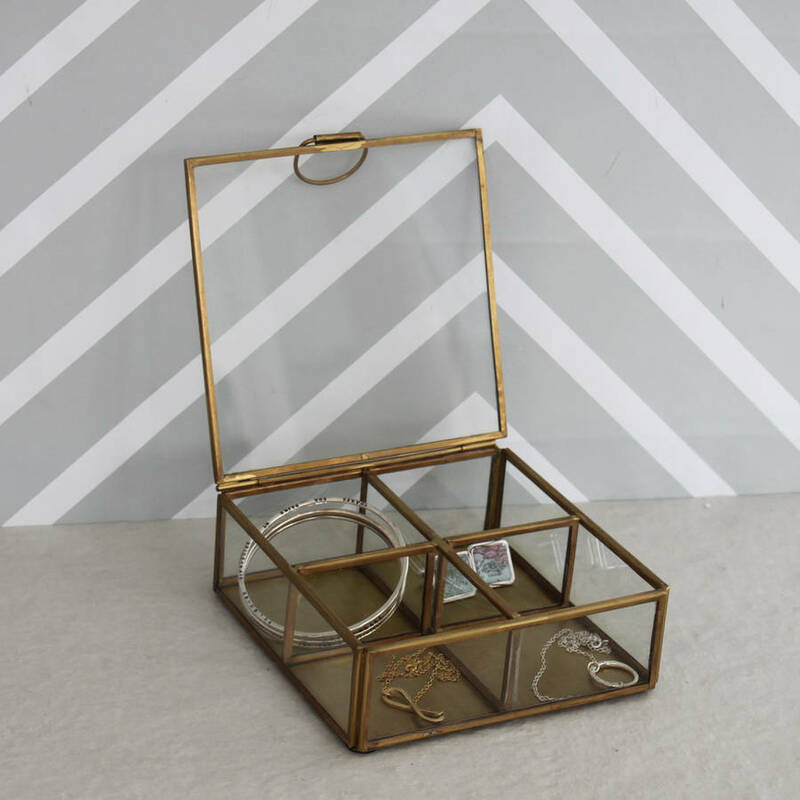 Beautiful jewellery box made from brass. 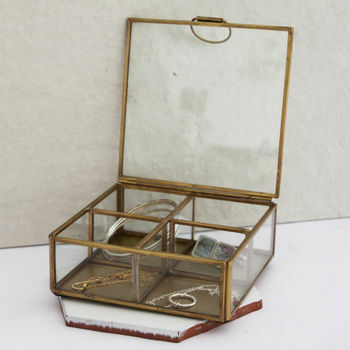 Store your favourite pieces of jewellery and trinkets in this stunning brass and glass box. The box has four compartments, ideal for keeping neckalces, bracelets, rings, earrings or cufflinks seperate and tangle free. 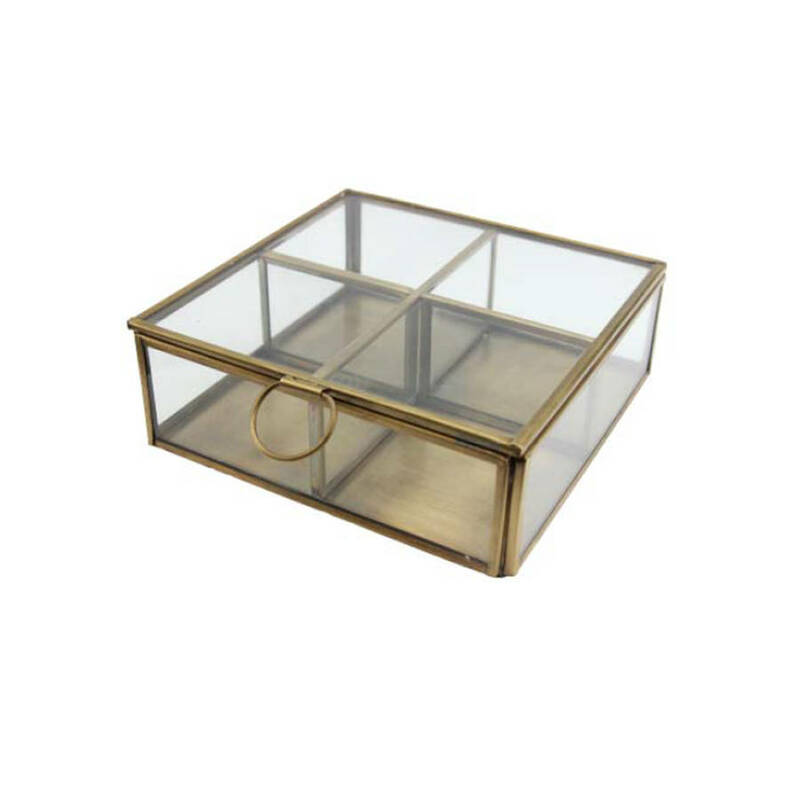 The hinged lid and brass edges gives this box an antique feel. 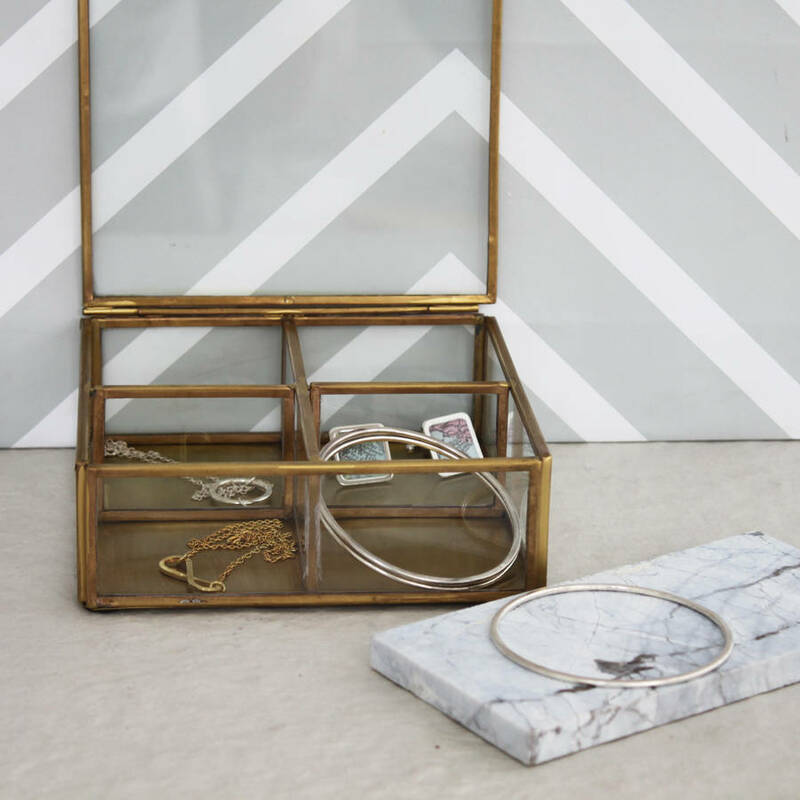 Simple and elegant, this is the perfect addition to a dressing table. 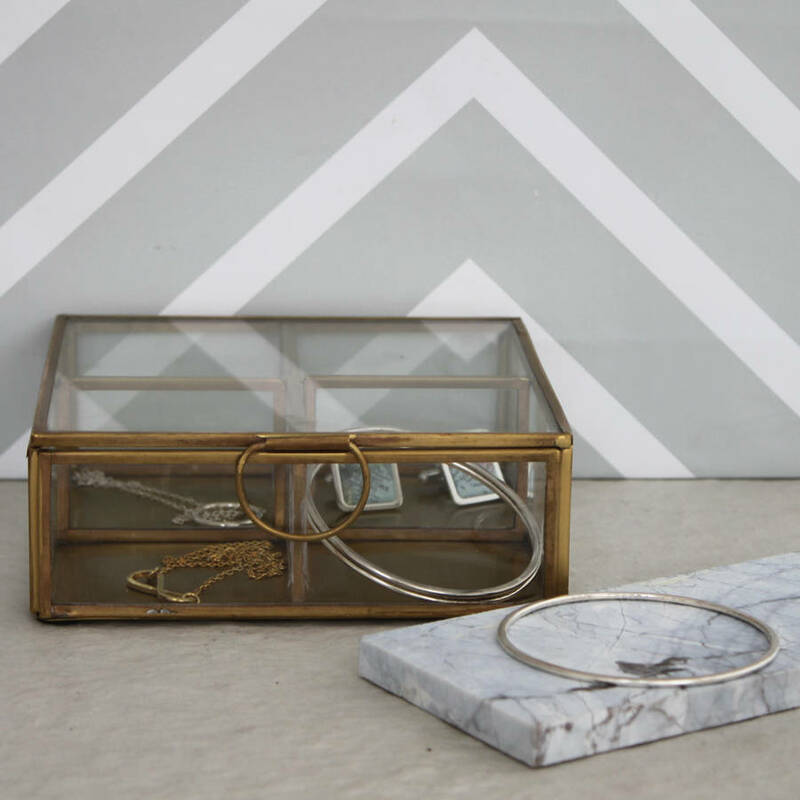 This product is dispatched to you by Posh Totty Designs Interiors.